Laurie Here - Contemporary Fiction and MORE - Book Reviews: Book Blast! "Open Adoption, Open Heart" Blog Tour! $25 Amazon Gift Card Giveaway! Book Blast! 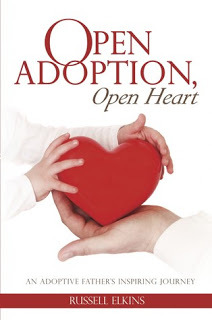 "Open Adoption, Open Heart" Blog Tour! $25 Amazon Gift Card Giveaway! Hosted by I Am A Reader, Not A Writer Blog Tours! 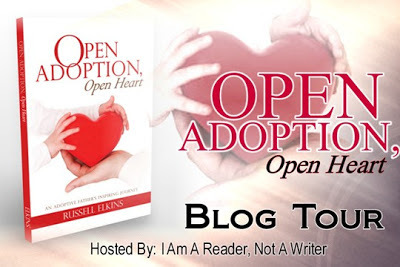 "Open Adoption Open Heart by Russell Elkins"
+ a $25 Amazon Gift Card Giveaway - So enter NOW! Come back again HERE for a Tour Stop on November 23rd for an Excerpt and Spotlight! Mark your calendars to come back and LEARN MORE about this book! Other Tour Stops along the way!